I just returned from camping in the snow where I spent three days building snow caves and battling the cold. We took both the boys and girls from West Ridge up to Timpooneke Campground in the Mt. Timpanogos area. I went with the girls and we split the two groups up by about thirty minutes. We trekked in on snowshoes pulling sleds, and the views of the surrounding mountains were astonishing. It was a classic trip of humans surviving the elements, and that is something I really look forward to conquering whenever I go on a trip. To me it makes an adventure even more awesome. Because the girls took a little longer to hike up to the campground, we did not have enough time to build snow caves for the first night. I had never snow camped in a tent before, and I would not recommend it. The wind nearly tore my tent apart. The next day I was determined to build a snow cave and sleep in it. I piled up the snow, packed it down with snowshoes, and proceeded to hollow out a cave. Now, you may be wondering how sleeping under snow is better than sleeping in a tent, but let me tell you the advantages. A snow cave is very insulating – from what my internship supervisor told me, it never gets colder than 28 degrees Fahrenheit, and if you are in a 0 degree rated bag with a fleece liner, you cannot go wrong. I could not hear the wind at all which was also comforting. 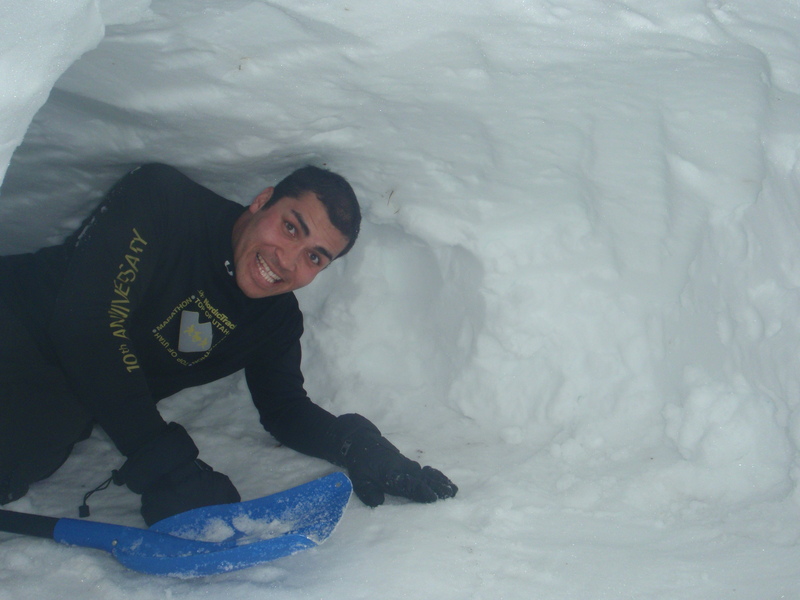 A snow cave usually will not collapse on you if you have packed the snow, but it may sink a few inches during the night due to breathing. If you carve out the ceiling high enough, this is not a problem. The last thing I will say about sleeping in a snow cave is make sure you lay a tarp beneath you, along with a good sleeping pad. Put a bivy sack around your sleeping bag and you are set for having a pleasant experience sleeping in a snow cave. Besides having an awesome wife who spoiled me for the past two days, (and really for the past 17 months), waking up and seeing about an inch of snow on the ground was the first best birthday present I received this year. In comparison with last month’s weather it was a miracle. 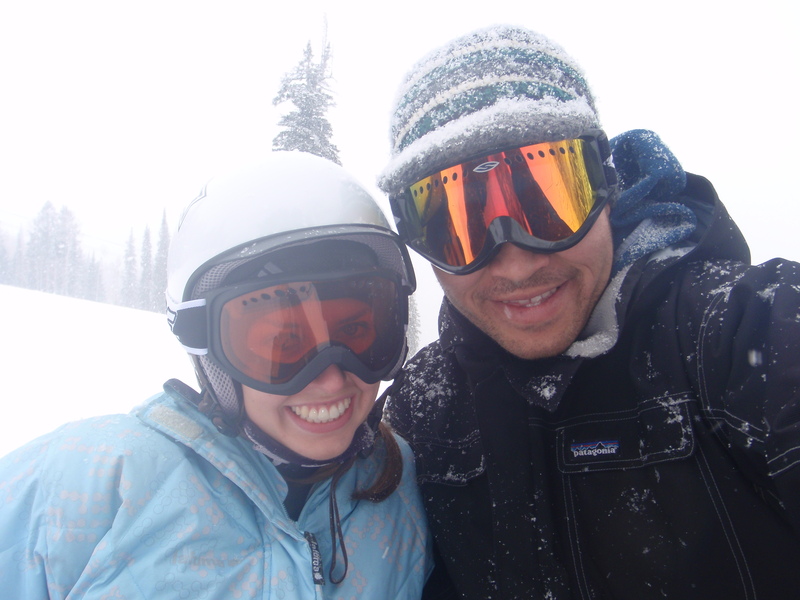 We decided that we better not waste it, so we went snowboarding at Solitude. Hope made me some delicious scrambled eggs and waffles that had too much chocolate chips in them, not that I was complaining. 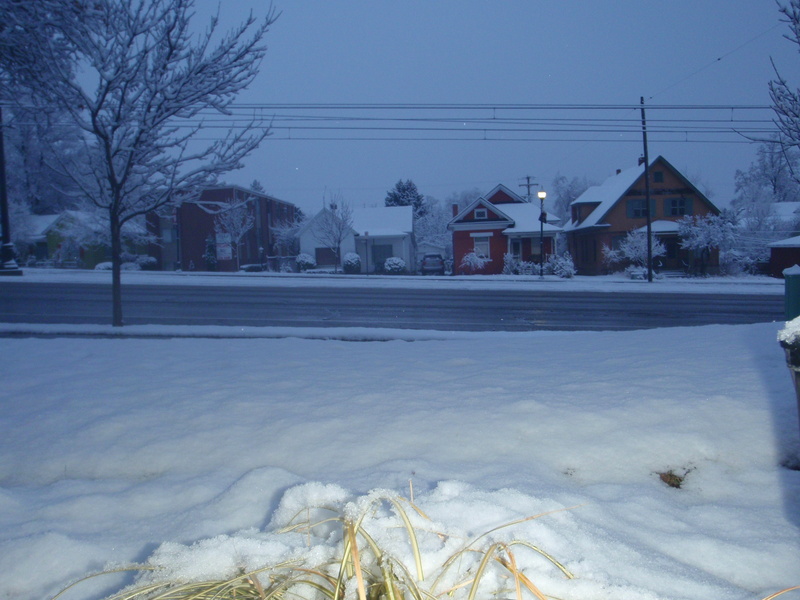 Because of the lack of snow recently, even this small layer caused me to dance in gratitude for a prayer answered. 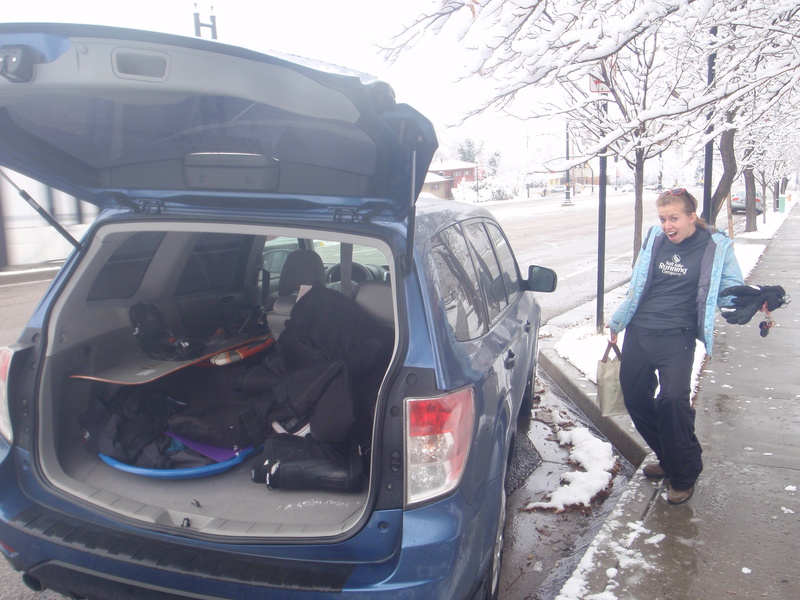 We loaded up our car, Zooey, for adventure. Hope had an ‘amazing’ rental from the University’s ORP. There were roughly two inches of fresh snow that did not completely offset the rough, icy snow, but we had fun nonetheless, and Hope is improving her snowboarding skills, despite having a sore body from all the falls. 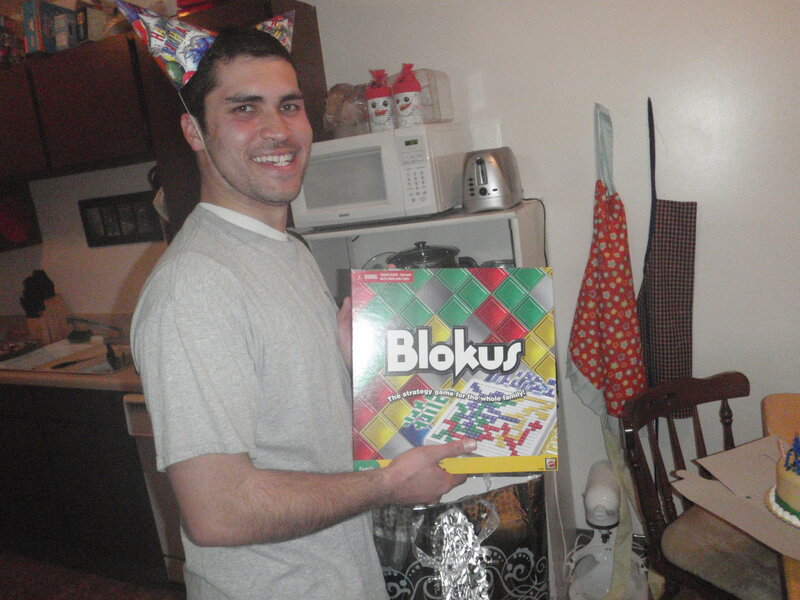 I had another birthday surprise I was not expecting. 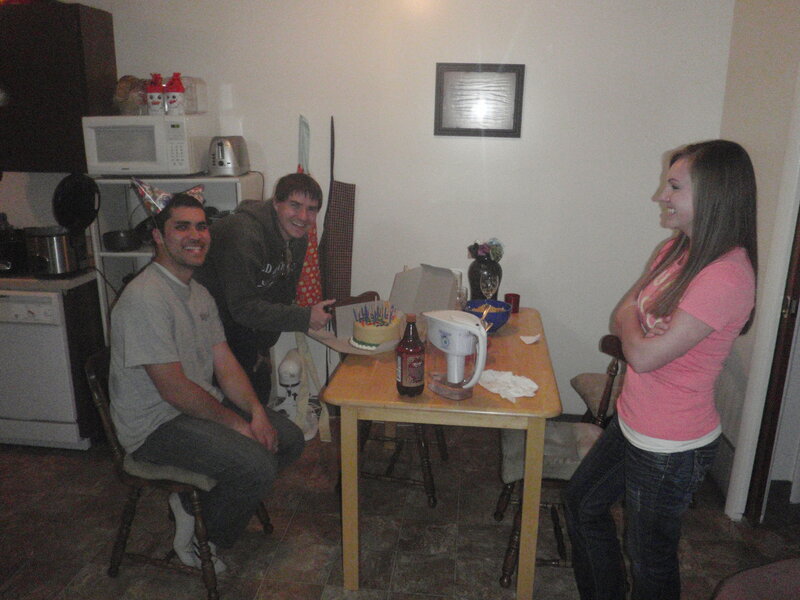 We returned home, took showers and proceeded to finish making dinner. Hope received a text she claimed came from her friend Kara. Hope chuckled saying that her friend was ‘complaining about a teacher’. I thought that odd during Christmas Break and just shrugged my shoulders. Hope then suggested we light electric sparklers in the church parking lot next door; my slow brain began to do the math. I was convinced that there was at least one person waiting to surprise me, but I did not know who. I had a list of suspects but was utterly surprised when I saw the truck of my good friend from my freshman days at Utah State University, Jeff, and his wife Jess. I screamed like a girl at a Backstreet Boys concert and gave Jeff a big hug. I was never more excited to see them, and it made my birthday. 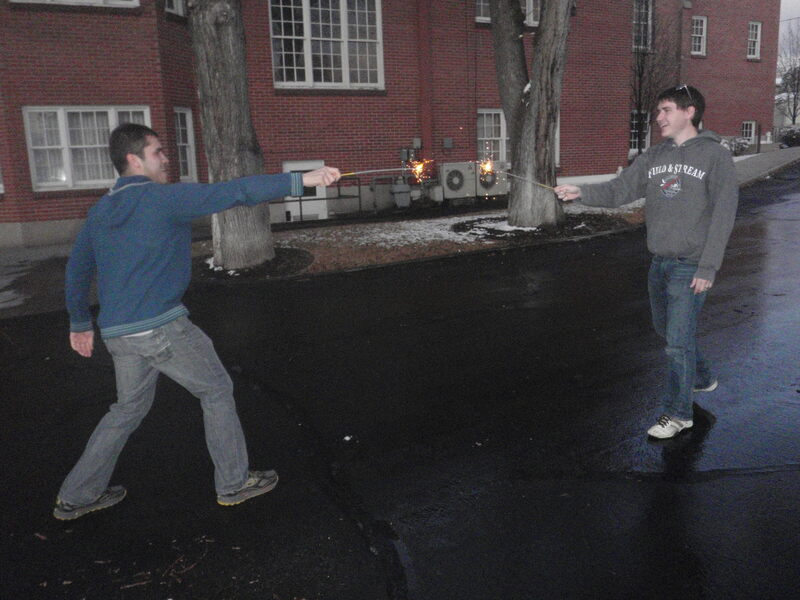 Yes, we acted out a Harry Potter wizard battle. Yes, I am wearing not one, but two birthday cones on my head. 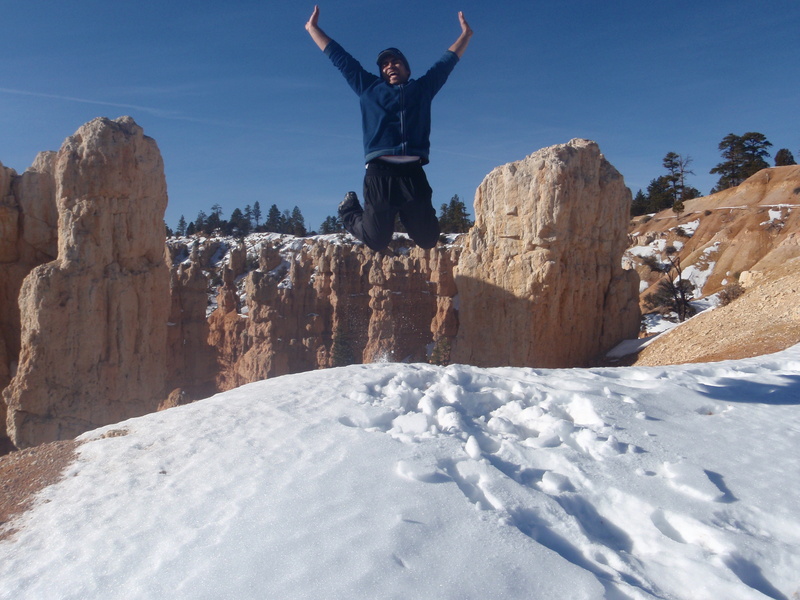 We almost spent New Year’s in Bryce Canyon. Instead, we spent the day before New Year’s there. Bryce Canyon has been one of my favorite National Parks since I was a kid, I believe it’s even more beautiful in the winter. The contrast between the red-orange of the hoodoos and the white snow is inspiring. It’s also a great time to visit because there aren’t as many people. 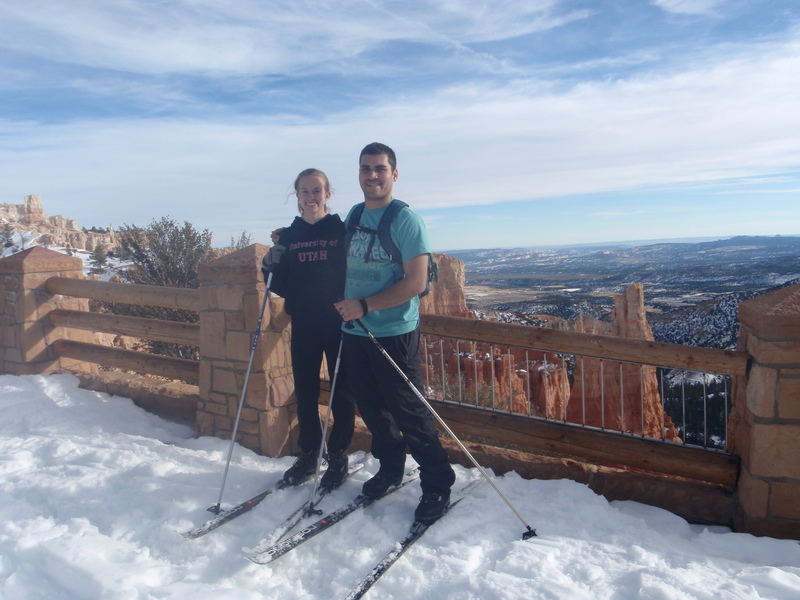 We enjoyed cross country skiing and warm winter temperatures.